Fantastic scissor set in funky black and red with Teflon protection and hollow-ground stainless steel blades. This Haito Akuma Set gives you scissors that glide through hair with efficiency and precision thanks to convex cutting edges and the no-nonsense addition of Teflon's non-stick technology. 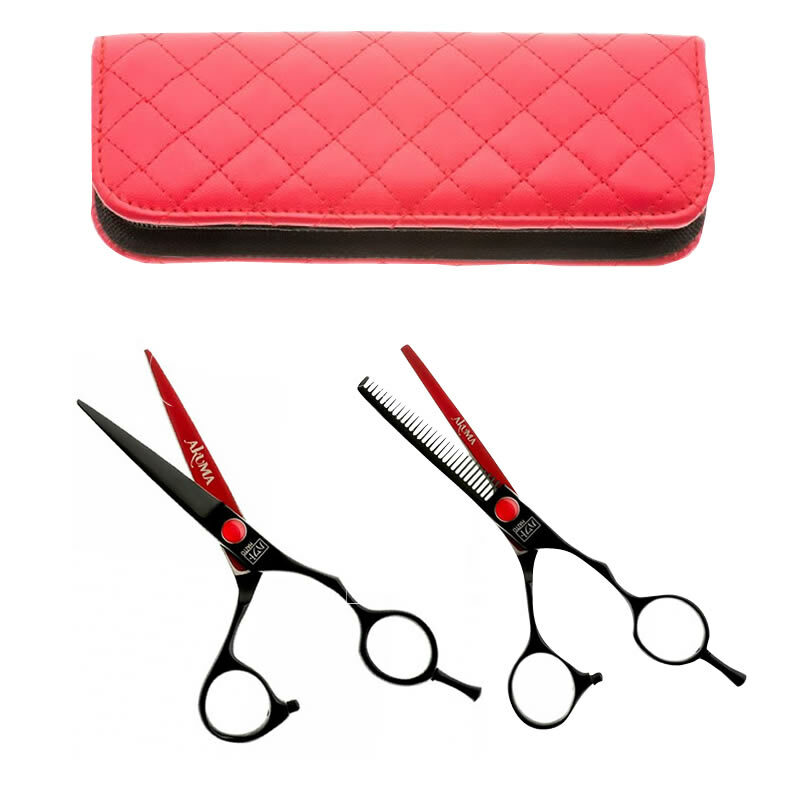 The Akuma Scissor has a Black Teflon-coated body and Red Teflon-coated inner blade (with a red poly nut screw system with built-in ball-bearing) that will cut a fine dash in any salon and sheds water and hair to help prevent your scissors from rusting. The Akuma Thinner shares the benefits of being coated in Teflon in the same way, with all 36 of its teeth being protected! 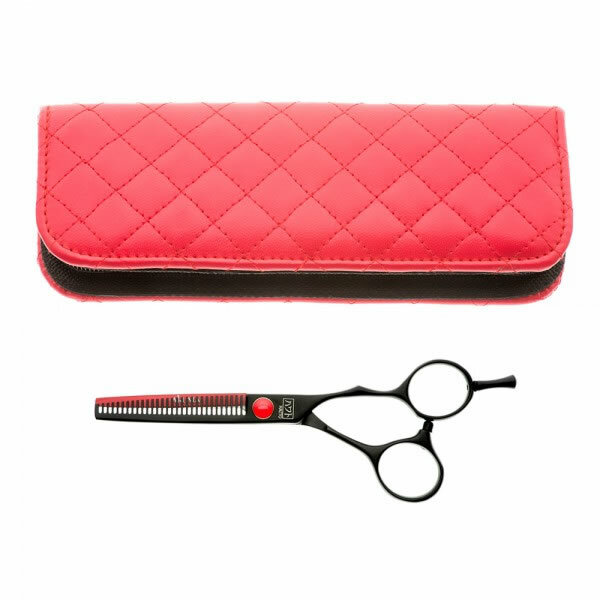 The set comes supplied with a red quilted scissor wallet, removable finger rest and finger rings. Available in 6 inches only. £81.55 (inc. VAT) Why no VAT? We're a trade wholesaler and quote our prices without VAT to help our VAT-registered customers understand the true cost of a purchase. A professional, handmade hairdressing scissor in funky black and red with Teflon protection and hollow-ground stainless steel blades.